About Carolyn Caldwell and Caldwell Evolution Inc.
Carolyn Caldwell has over 11 years helping clients clear the clutter from their homes and offices, specializing in working with Chronic Disorganization including ADHD. She is a Gold Leaf member of Professional Organizers in Canada (POC), and Golden Circle 10 Year member of the National Association of Professional Organizers (NAPO). Carolyn established her organizing business, now known as Altered Organization, after twenty years working in the healthcare industry. Caldwell Evolution Inc. was established in 2015 to represent the the growing services, products and interests which Carolyn represents professionally. In addition, Carolyn offers a mentoring program to new professional organizers. 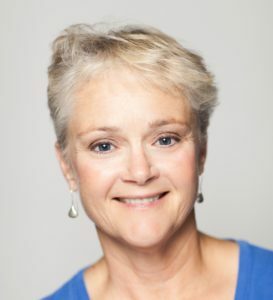 An ardent supporter of credentialing, Carolyn Caldwell was Canada’s first professional organizer to achieve both designations Certified Professional Organizer in Chronic Disorganization (Institute for Challenging Disorganization, ICD) and Certified Professional Organizer (Board of Certified Professional Organizers). In 2015 Carolyn was honoured to be the recipient of POC’s Harold Taylor Award as well as being recognized by her peers as a finalist for the Ambassador Award. Carolyn has served on the POC National Board of Directors and is a Past Chair of the Toronto Chapter of POC. Carolyn provides coaching support to individuals looking for clarity, focus and accountability. Most recently, she is pursuing coaching credentials with the International Coaching Federation. In addition, Carolyn coaches and mentors new professional organizers. Carolyn is a sought after speaker. Her recent topics have included everything from ethics in organizing to hoarding behaviour and productivity for moms. She has presented at conferences, workshops and neighbourhood groups. To book Carolyn to speak at your conference or group contact her at carolyn@caldwellevolution.com. Carolyn Caldwell writes a blog here at Caldwell Evolution and an organizing blog at Altered Organization. The Clutter Letters is her most recent work. You can follow the project here. Like many of her clients, Carolyn Caldwell juggles a busy family life with a successful business. She is a CSIA/CSCF credentialed ski instructor and teaches downhill skiing during the winter. Meanwhile, in the summer Carolyn applies her organizing skills to support youth sailing. For the past 5 years she has organized a novice race course for children age 15 and under learning to race in the Optimist Dinghy. She is the mother of two active children.